The rare, intimate concerts at the prestigious Grand Hyatt Tokyo Ballroom feature YOSHIKI – composer, classically-trained pianist, rock drummer, and leader of the rock band X JAPAN – on piano playing X JAPAN’s renowned songs such as “Kurenai”, “Forever Love”, and “Endless Rain”, and his popular compositions such as the theme for the Golden Globes and “Anniversary”, composed for the 10th year of the Emperor of Japan’s reign. 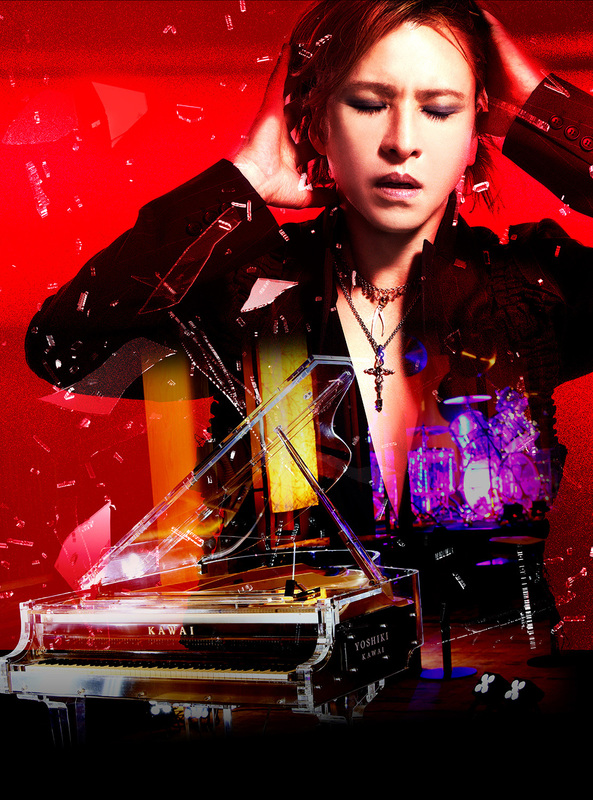 YOSHIKI has also announced that he will premiere a new composition at the event. 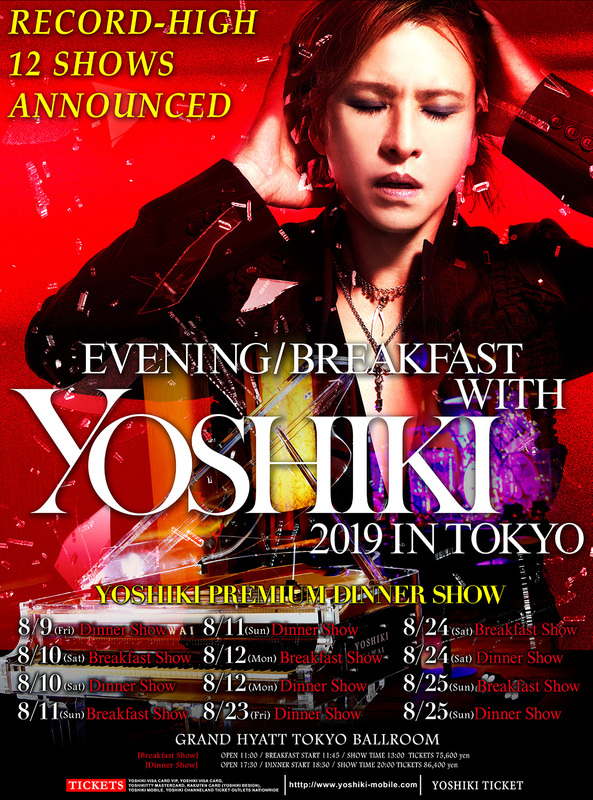 Tickets sell out immediately each year, and in 2018, an unprecedented number of applications was submitted for the 1-in-100 chance to get seats through a lottery after tickets were allocated through the Yoshiki Mobile fan club, Yoshiki Channel, and YOSHIKI’s exclusive Visa and Mastercard. 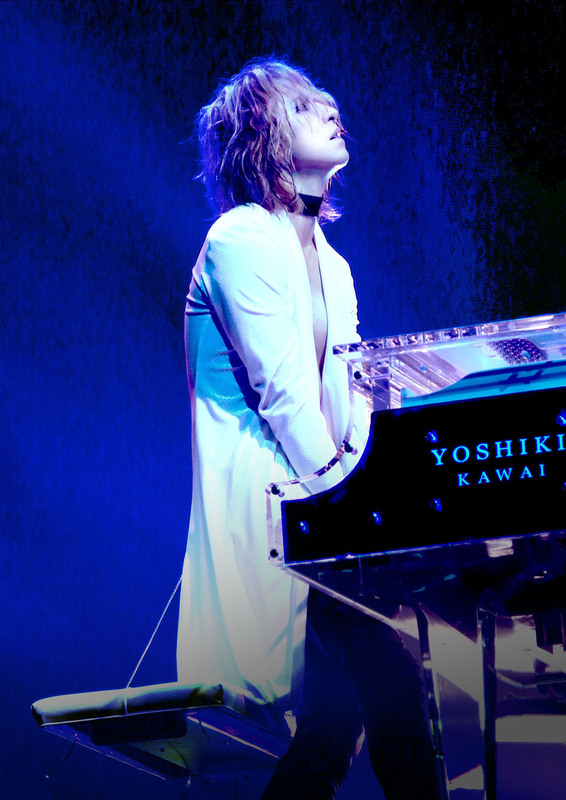 YOSHIKI has headlined internationally famous large venues such as Madison Square Garden, Carnegie Hall, and Wembley Arena, as well as selling out Japan’s Tokyo Dome 18 times. The elegant dinner events are a once-in-a-lifetime opportunity for fans to see the celebrated composer and musician close up, and visitors from overseas are increasing year by year because of YOSHIKI’s active role on the world stage. The Evening with YOSHIKI Premium Dinner Shows feature a gorgeous stage with lasers, a collaboration with ballet dancers, a first-class meal served with YOSHIKI’s signature “Y by Yoshiki” wine, and a hand-picked souvenir. The event also features YOSHIKI’s fashion brand YOSHIKIMONO, his popular line of kimonos which has opened Tokyo Fashion Week, and a charity auction including his personal items and concert outfits for his non-profit 501(c)(3) Yoshiki Foundation America. Last year’s auction raised 48 million yen for disaster relief and music education. A limited number of international tickets are available for members of Yoshiki Mobile and Yoshiki Channel, including Yoshiki Channel International.